After such a scorching summer, we don’t think we’ve ever been so excited for fall. We’re especially looking forward to cozy sweaters, bright yellow and red leaves slowly falling and our first glass of warm cider. Regular apple cider is delicious, but this year we’re whipping up one of these unique ciders, made with fresh fall produce, instead! Spiced pumpkin, pear and lemon and cinnamon plum ciders are fabulous variations to the traditional spiced apple cider. Served warm with spiced rum, these cocktails are perfect for cold tailgates and chilly autumn nights! Pears, which are harvested at the end of the summer and early fall, are one of the most versatile fruits out there. Because of their milder disposition, pears pair perfectly with the bold citrus flavor of the lemon and the spicy flavor of the allspice. 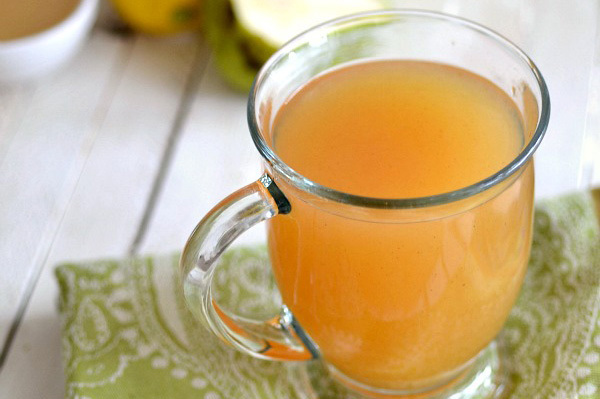 This cider recipe is delicious cold or warm, so serve however you’d like! To prepare the nectar, place pears in the body of a food processor. Pulse on low until mixture is pureed. In a medium saucepan, add pureed pears, water, sugar and lemon juice. Bring mixture to a boil then reduce heat to low. Simmer until mixture is thicker (like a simple syrup) and sugar is dissolved. Set mixture aside. To make cider, mix pear nectar, pear juice, apple cider and cinnamon stick in another saucepan. Place allspice in a cheesecloth and place in the saucepan. Heat mixture on low for 20 to 40 minutes. Once heated, strain mixture through a mesh strainer. Serve warm or add ice for a chilled drink. If you love Starbuck’s pumpkin spiced latte, you’re going to love this cider. Made with luscious pumpkin and tons of spices, this cider is filled to the brim with fabulous fall flavor. *Note, this comes out thicker than traditional cider since it’s made with pumpkin puree. For a thinner beverage, add more apple cider or water while you prepare it. 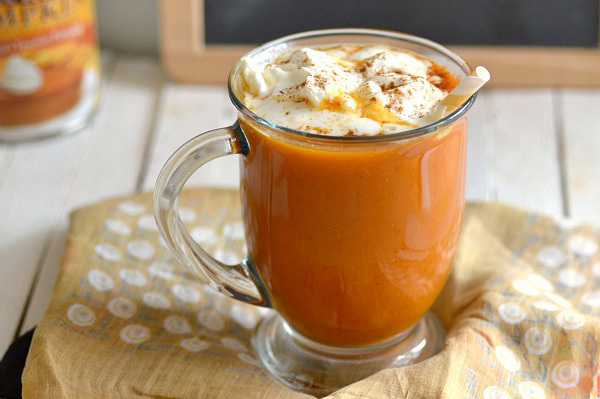 In a large pot, mix together the pumpkin puree, apple cider, pumpkin pie spice and the cinnamon stick. Bring mixture to a boil then reduce heat to low and simmer for at least 20 minutes. If mixture is too thick, add additional cider or water to thin it out. Strain the mixture through a mesh strainer to remove clumps and cinnamon stick. Add rum and mix. Serve warm. *You can reduce the amount of rum if this is too strong or omit it completely and swap in more apple cider. This warm, earthy cider recipe is made with dried plum juice (or prune juice), sweetened apple juice and spiced oranges and cinnamon. 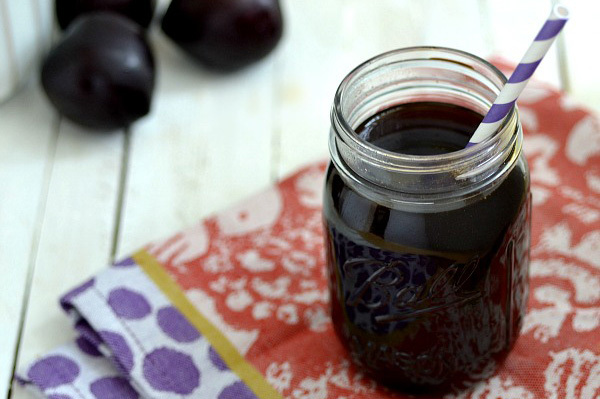 The apple juice sweetens up the prune juice and the spice lends the perfect fall flavoring to this unique cider! Mix prune juice, apple juice, cinnamon sticks, apple pie spice, cloves and orange zest in a medium saucepan. Bring mixture to a rapid boil then reduce heat to simmer. Let simmer for at least 20 minutes. Strain mixture through a cheesecloth or mesh strainer. Add rum and serve warm.